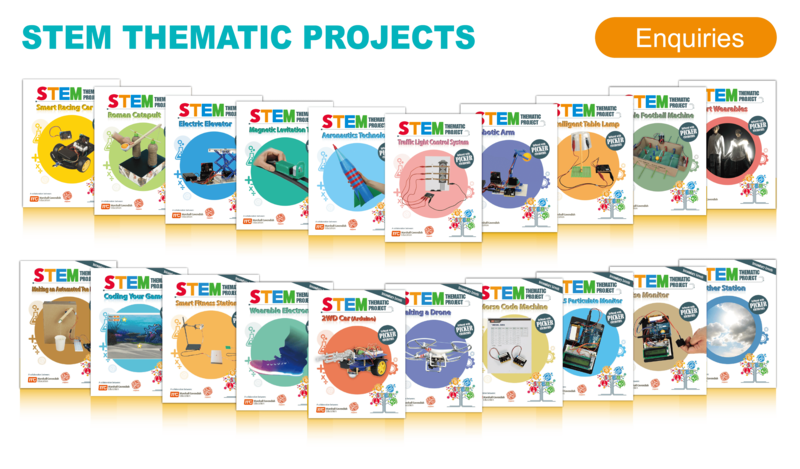 Apart from STEM learning and teaching resources, we also provide total solutions to schools, offering STEM training programmes and activities, STEM curriculum design and consultation services, and innovative STEM hardware to support the implementation of STEM education in schools. Recommend major STEM hardware providers who offer a wide range of STEM hardware that suits the needs of schools. Organise STEM competitions and STEM day camps with schools and institutes to broaden students’ STEM experience. We offer STEM training programmes and activities that help develop students ̓ STEM skills, such as creativity, problem-solving and scientic inquiry skills. With a team of STEM specialists, we assist schools in setting clear goals for the implementation of STEM education. We can also co-plan the implementation strategies for STEM education in schools.